Breakthrough innovation across all key aspects of the mechanical gaming keyboard, like switches, ergonomics and software, creates a new standard for gamers. 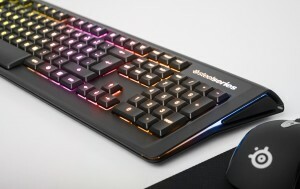 SINGAPORE, January 5, 2015, Monday – SteelSeries, the leading global manufacturer of gaming peripherals, today introduced the world’s fastest and most customisable mechanical gaming keyboard, the Apex M800. 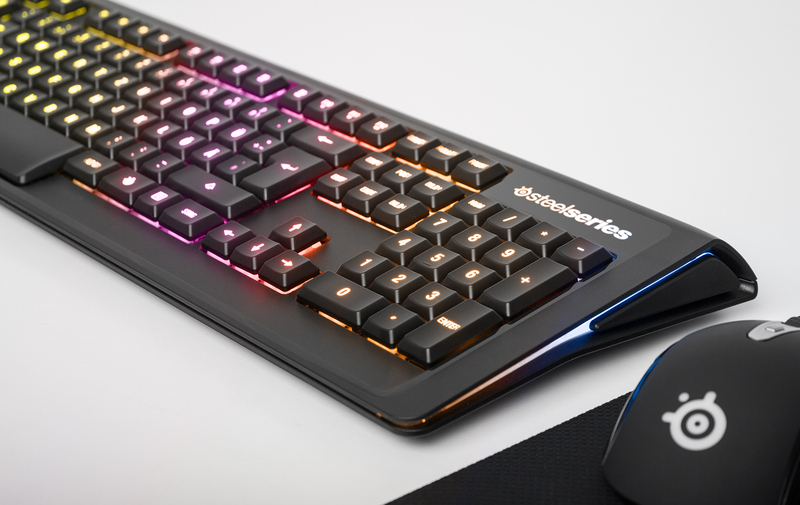 SteelSeries’ new mechanical switches deliver 25% faster actuation than the standard mechanical keyboard. Combined with its unique low-profile design and slim ergonomic style, the Apex M800 is optimised for quick strikes and less wasted movement. With n-key rollover, the Apex will register every single key press, no matter how fast the gamers’ fingers fly. Featuring a centred, surface-mounted LED on every key, the Apex M800 exudes crisp, vibrant illumination with your choice of 16.8 million colours. Illumination on the Apex M800 moves beyond just aesthetics and into function; gamers can design their own lighting effect based on profile, preference or needs within a certain game. The Apex M800 will also have in-game integration with select game titles. SteelSeries is working with game developers on preset layouts and illumination changes based on in-game events; more details regarding game titles will be announced in early 2015. In designing the switch for the Apex M800, SteelSeries partnered with experts in switch technology to design a switch unparalleled in mechanical gaming keyboards. The result: the QS1 linear switch, with a uniquely responsive feel and specs weighing in at the absolute top of the industry – 1.5mm actuation point and 3mm throw distance. The Apex M800 features an unlimited host of customisable options including unlimited profiles, macros and illumination, all powered by SteelSeries Engine software. Every single key features a centred LED with clear switch housing for the perfect crisp, bleed-free illumination of 16.8 million colour capabilities. Every key can be individually controlled: from the full RGB colour scheme, 8 brightness levels and a roster of electrifying illumination modes. Choose from pre-configured options like Breathe, Wave and Trigger, or create your designs. Gamers can also craft custom illuminated cool-down timers for specific games, in-game events and actions. The feature-rich macro editor of the Apex M800 is incredibly easy to use. All keys are individually programmable to any keyboard key, mouse button, media control, application or macro. And if that isn’t enticing enough, you can record macros on the fly with a simple button press or use powerful text-based macros. Any and all keys can instantly be remapped with the touch of a button, based on a specific play-style, game or application. Check out the new SteelSeries Stream Team using the new ApexM800, and more, at http://steelseri.es/seethefuture. For more information, visit http://SteelSeries.com.